A new multi-employer agreement, or MECA, for public hospital service workers is a huge win for members, with many receiving pay-rises of up to 40 percent over the next three years. The MECA sets the conditions for about 3500 service workers, including cleaners, laundry workers, orderlies, catering and security staff at the country’s 20 District Health Boards. E tū is confident about finalising the same settlement with the major DHB contractors by the end of the year. Those on the lowest rates will benefit the most through formal training with this settlement lifting wages for another historically undervalued female dominated workforce. “This is a fantastic outcome for members who have struggled with costs rising faster than their low wages,” says Sam Jones, E tū’s National Hospitals Coordinator. “It’s a major investment by the DHBs and the Government in the lowest paid workers in our public hospitals and helps deliver on the Government’s promise to lift the living standard of those at the bottom,” he says. Sam says by lifting wages, the MECA will benefit families and communities with the worst health statistics. “Everyone is looking forward to the new pay deal,” says Auckland DHB cleaner, Lena Hiku. “We will get a good wage in 40 hours without having to work overtime on the weekend. This will be good for our family life and for our health,” she says. Sam says the DHBs are committed to providing the training workers need to gain qualifications with higher wage rates, “which is great news for our members. “These jobs are an important entry point into the health service and the promotion of training will enable some to progress in the public health sector making the settlement a real win/win. We can also put reporters in touch with members who can speak about the new MECA. By the end of the MECA term, new workers on the basic scale will start on $20.90 an hour – an increase of 26.7 percent on the start rates. 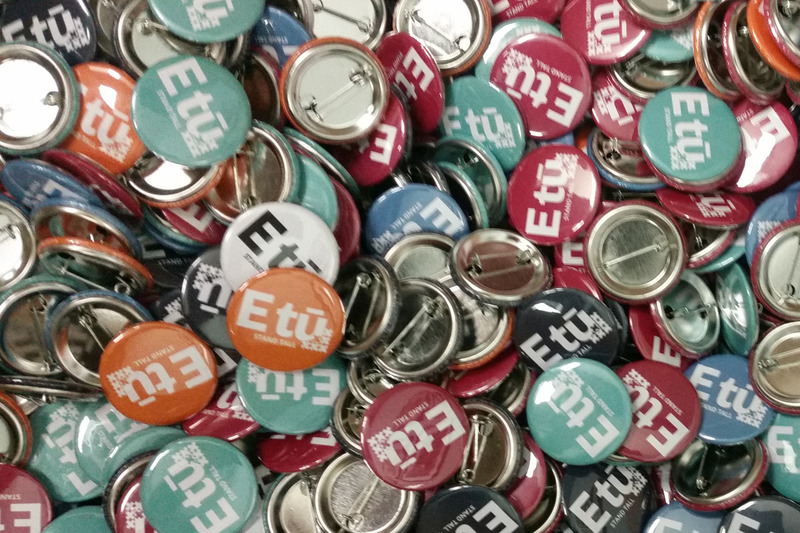 E tū hopes to see all members earn a Level 3 qualification which will mean a pay rise from $17.28 to almost $25.00 by 2021 – an increase of 40.9%. At the top of the basic grade, wages will lift to $21.25 an hour from June this year – an immediate increase of nearly 10 percent. This will increase to at least $25.63 over the next three years – which is 30 percent more than those on the top step of the basic grade earn now.